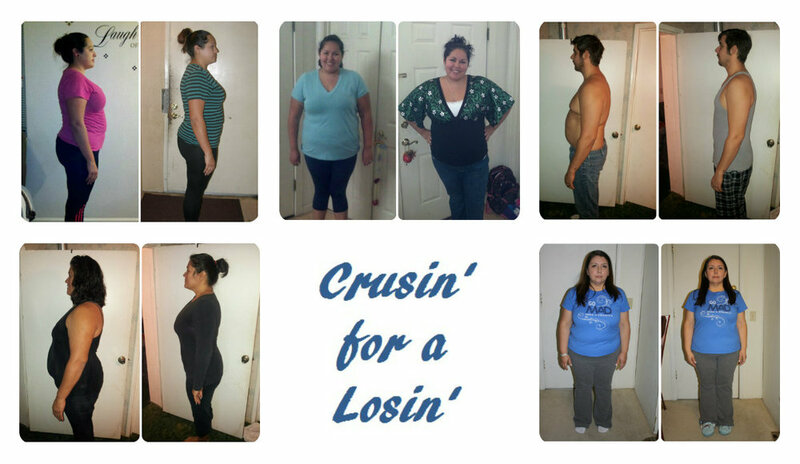 We are all very close to achieving our weight loss goals for this challenge. Thank you so much for your support through these past 10 weeks. We couldn’t have done it without you! 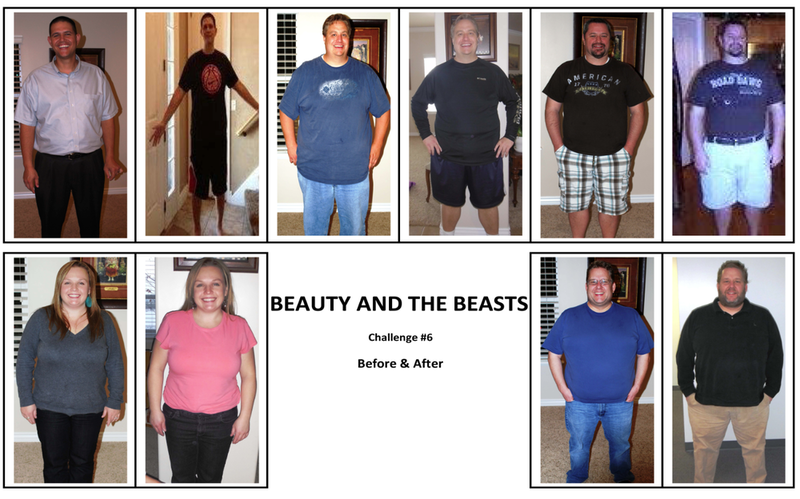 We are so excited and proud to present our before and after mini-challenge photo! We could not have achieved what we did without the support of one another. The most important outcome of this contest for our team is that we all made lifestyle changes and commitments to be healthier and stronger for ourselves and our families. Our team is trying to change our mindset when it comes to food. We are now focusing on Eating to Live, Not Living to Eat! Some things that have helped our team stay on track is thinking about the clothes we will wear when we reach our target goal and visualizing the shopping trips we will go on to buy our new wardrobes! In the mean time another great way to keep our mind off food is to keep our bodies and minds engaged in video games! With video games can workout our bodies and minds and we love that! For now the entire team is all business!! Work, eat healthy, and lose weight. But, as of January 12th we will all resume our relaxation activities!!! Have a Merry Christmas Everyone! and PLEASE VOTE FOR US!!! These are just some of the ways our team likes to relax and soothe. Thank you everyone who has been voting for us it means a lot! We thought we’d share some of our favorite excercises for helping us get back to fit healthy lives. Working out was a struggle in the begining but now as we are 1/2 way through this challenge we are loving how great we feel after a workout! Here we are, now on our seventh week of this competition and everyone is doing great!!! But now is crunch time! We have 5 weeks to go and now is time to push even harder with the tools that we have been using to get to our weight loss goals!! Whether it is p90x, ellipticals, treadmills, running in the park, or just walking around the block, everyone needs to identify their fitness level and do what works for them! These are the things that we have been able to us for our success, hopefully you will be able to find yours!!! Beauty and the Beasts!!!! We all work out separately but check in on Myfitness pal with all of our exercise. We use many tools to help us , and these are some of them. First we want to tell everyone how grateful we are to be participating in this competition and for all of our friends who are supporting us throughout! We also want to wish everyone a wonderful Thanksgiving!!! Since today is Thanksgiving, we decided to post pictures of healthy foods we all like to eat today. Everyone needs to remember, the journey to weight loss will not happen overnight and extreme changes are VERY difficult to maintain! So, if everyone would pay attention to the nutritional values of the things they are eating and moderate the quantity of different foods we consume, it doesnt hurt to eat some of the good things at this time of year! Happy Thanksgiving!!! 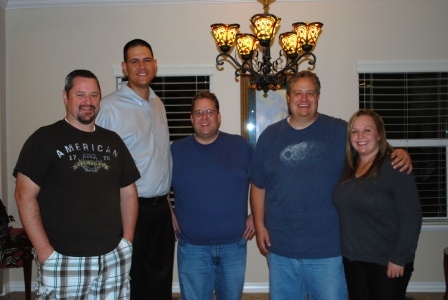 We are a group that is all split up, helping one another lose weight over the internet. And no matter where you go you can usually find a salad bar. That is why we choose a salad bar as our 3rd mini challenge. From Hospitals to schools to Restaurantes. When theres a salad bar theres a healthy eating choice. Congratulations to all of the teams that participated in the Team Recipe Challenge! Marinated Lemon Chicken Kabobs A meal fit for a slightly trimmer beast! 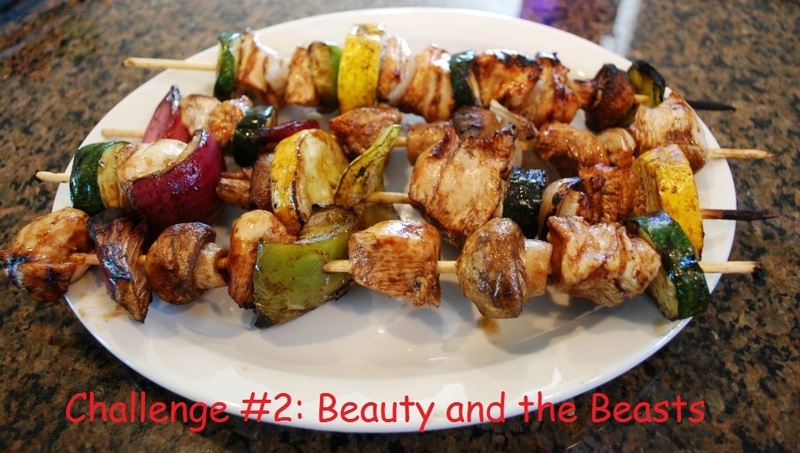 As you prepare the kabobs, allow the skewers to sit in and absorb water to avoid burning. Marinade: ¾ cup freshly squeezed lemon juice, ¾ cup olive oil, 2 tsp. kosher salt, 1 tsp. freshly ground black pepper, 1 Tbsp. minced fresh thyme leaves. Use any variety of vegetables for your kabobs. We use Red and green bell pepper, zucchini, yellow squash, mushrooms and red onion. 2 lbs boneless, skinless chicken breast, cubed. Marinate the chicken in a gallon Ziploc bag or separate container overnight. Slice your vegetables just before assembling your kabobs. 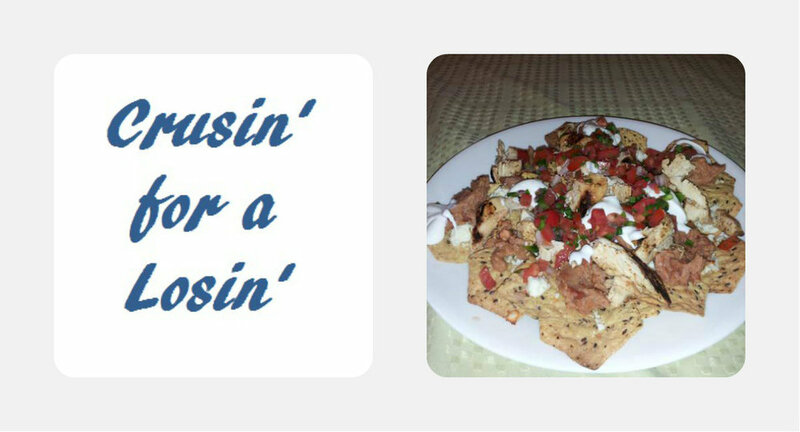 Assemble to your preference, grill and enjoy! 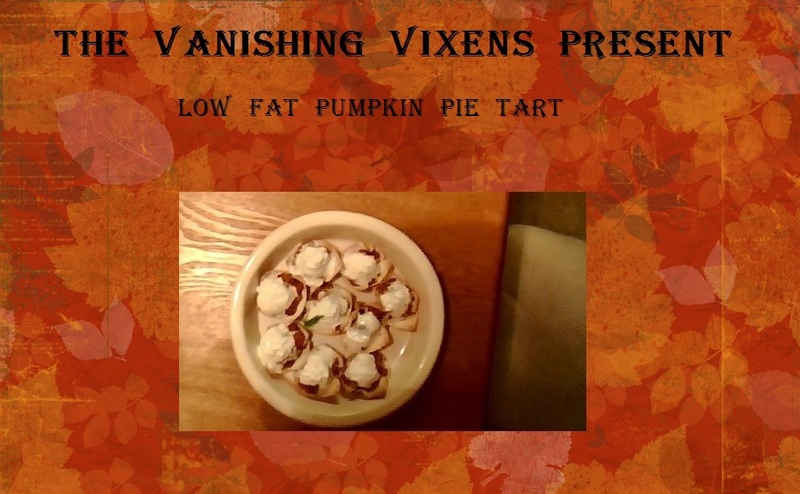 Low Fat Pumpkin Pie Tart! Ingrediants: Egg Roll Wrappers Cooking Spray Fresh pumpkin Splenda Pumpkin Pie Spice, nutmeg, cinnamon Low fat Whipped Topping Using egg roll wrappers for the tart shell, cut them in half. Spray a muffin tin with cooking spray and line each cup with a wrapper. In a bowl combine fresh pumpkin (not pumpkin pie mix) with splenda, pumpkin pie spice, nutmeg, and cinnamon. Then fill each wrapper and press the edges together. Bake at 375 for 30 mins. Cool, and top with fat free whip cream. Three tarts are approximately 120 calories. Enjoy!!! Congratulations to all of the teams that participated in the Team Synergy Mini Challenge! 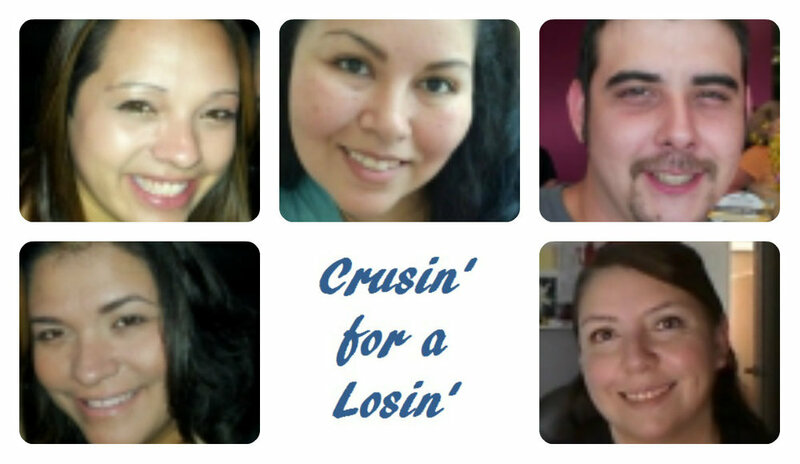 We are a team of friends who have taken on a life changing challenge to lose weight and compete in a nation wide competition. We think we have what it takes to lose the weight, now we need your support to win the mini challenge!! Please come with us during our twelve week journey to improve our lives and cheer us on as we go through the rough patches. Thank you all! 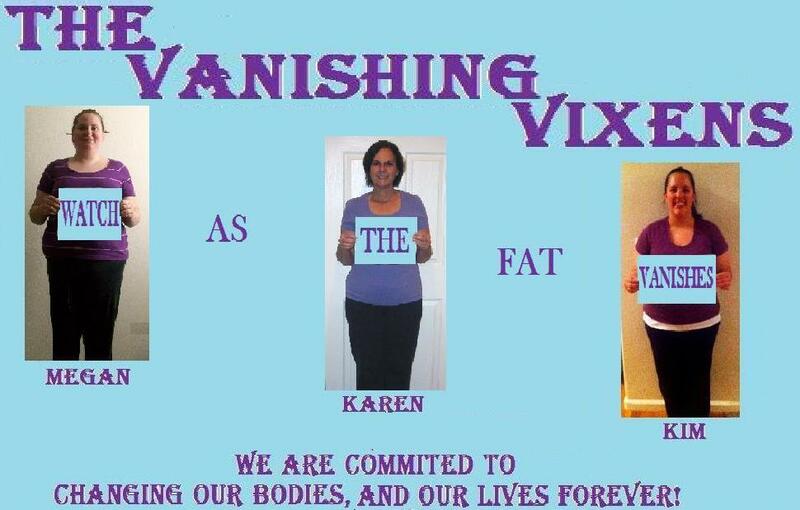 We are 5 women who are tired of letting obesity prevent us from living our lives to the fullest! 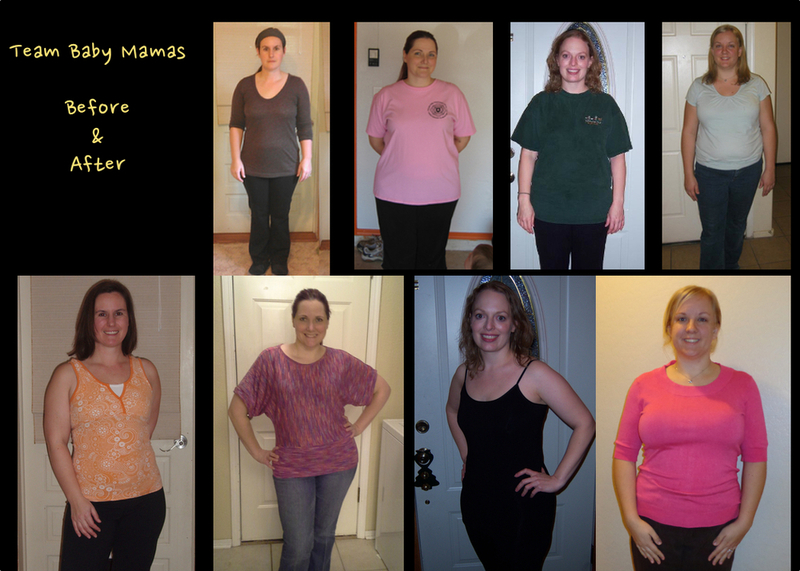 We will stop at nothing to achieve our weight loss goals and to win this competition! Please show your support by voting for our team!